Officer Betty Shelby's attorney entered a not-guilty plea on her behalf today. 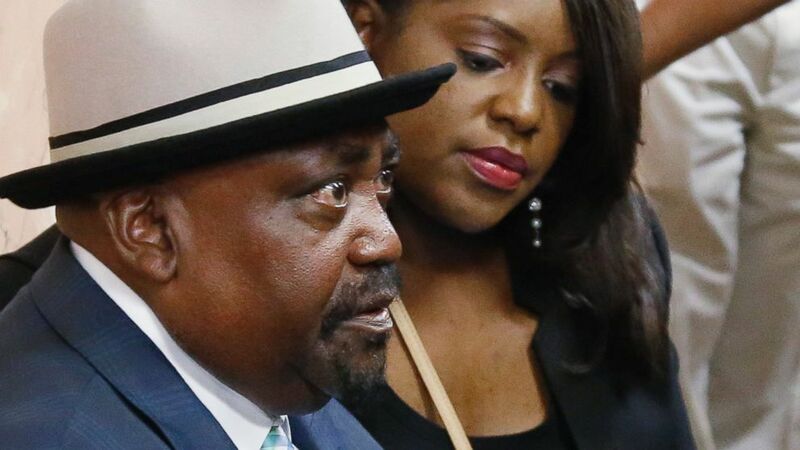 Shelby is accused of fatally shooting 40-year-old Terence Crutcher on Sept. 16, after she encountered the man's SUV in the middle of a two-lane roadway while it was still running. Shelby's other attorney, Scott Wood, who was also present in court today, previously told ABC News that Crutcher ignored more than two dozen commands from Shelby and that he allegedly reached into the driver's side open window of his SUV before the officer perceived a threat and shot him. (Sue Ogrocki/AP Photo) The Rev. Joey Crutcher, the father of Terence Crutcher, and his daughter Tiffany Crutcher, wait in a hallway in the Tulsa County courthouse for the arraignment of Tulsa police officer Betty Shelby in Tulsa, Okla., Sept. 30, 2016.